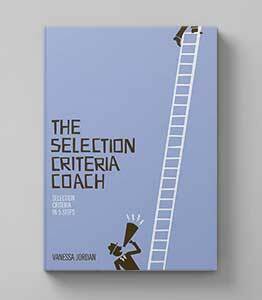 One of the hardest parts of addressing selection criteria is coming up with appropriate examples to demonstrate your skills. Below are a few different tips for coming up with and choosing the best examples to write about. Tip 1: Select which examples to use, based on their relevance to the criterion, the job and their strength. Remember that you are trying to prove that you are the best person for the job, not just an acceptable one, so make your examples strong ones! 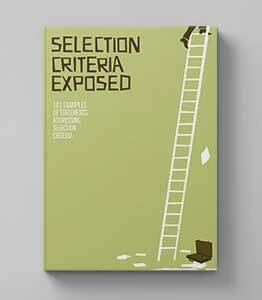 The examples you choose should obviously not only relate to the criterion, but also to the job. Choosing an example that shows you will be able to transfer your skills from your current job to the job your are applying for, are the best ones. And examples that show a good depth of skills / understanding, will out perform your competition. For example, let's assume you are applying for a middle management position and addressing a communication skills selection criteria. Writing in your application that you regularly write reports and briefs and communicate and negotiate with various levels of staff ... is not going to cut it. This is an expected skill set at this employment level and every applicant will be saying something similar. Now is the time to dig out the extra special things that you do in your current job or achievements that you have had. Was there a problem that you were trying to solve? How did you address the situation or the problem? What strategies did you come up with? What process did you follow? The last two points, your results and measures of success are going to be the crucial elements to write about. Make sure your focus is on these points and you use as much evidence as possible to write about your successes. The selection panel don't want to know about your day to day tasks, they want to know what makes you special, what makes you stand out, and what makes you an achiever. Even better, keep a career journal (templates for keeping a career journal are in included in both The Selection Criteria Coach and Get That Job if you have either of these publications). Having a list of your achievements at hand as a point of reference will make your example writing a lot easier than just starting with a blank page. Why is it So Hard to Write a Job Application? It is natural to see your career as tightly connected to your personal identify. Therefore, searching for a new job is bound to bring about all kinds of anxieties, whether it is your dream job, or just a change. Add to that the fact that writing a job application requires you to essentially brag about yourself and your achievements, when society in general tells us that talking yourself up is not socially acceptable, and you are bound to have some difficulties when it comes to preparing a job application. It is not a natural process or even one that we have been taught to navigate. In fact, when you are applying for a job you are often expected to behave in the opposite manner that you have been conditioned to behave in the workplace. Remind yourself that “selling yourself” is a normal and expected behaviour when applying for a job. Target each application to the job that you are applying for. As you address each individual job’s requirements you can be confident that you are increasing your chances of being selected for an interview. This is a much better approach than the “scatter gun” approach (where you send the same application out for multiple jobs). Remain employer centric. Rather than focussing on why you want the job, focus on what you can do for your new employer. Ask for help! You can get help from colleagues, friends, family and professionals. Even if you have to pay for help, it will be a worthwhile investment in the long run if you end up winning the job. 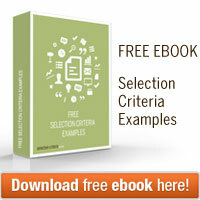 Download our free selection criteria examples below.